For the past year I’ve been saying I’ll paint a mural on my daughter’s bedroom wall. It’s a lovely idea but, honestly, who has the time? The answer is to get my hands on some snazzy wallpaper and these designs have caught my eye. Stylish wallpaper is such a great solution for when you want something more than plain coloured walls (but no time to become a mural artist) and it’s surprisingly easy to apply. We first noticed Studio Ditte when they released their lovely Button design, but since I’m on the wallpaper hunt it’s time for an update on their sleek new selection. 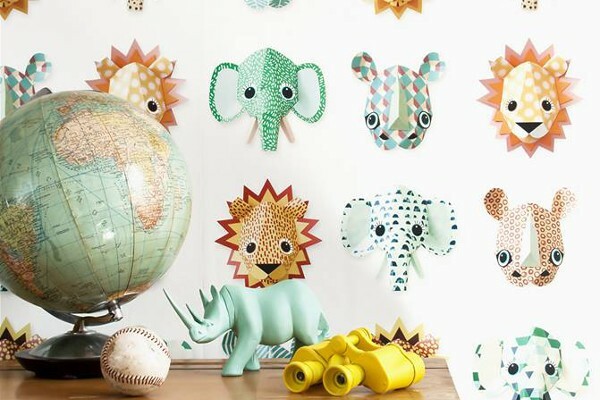 These animal faces have a cool 3D look that really pops. The muted palette and white background means this paper won’t make the room seem smaller the way darker colours can. Even in a snug-sized nursery (like the one at our house) I can see this pattern would give the room brightness and space. Many of the Studio Ditte designs share these features of 3D on a white background, making them great as both feature walls or wrapped right around the room. 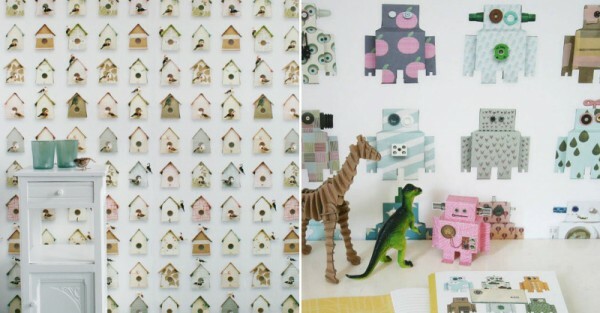 These robot and birdhouse prints are just darling. They have a vintage feel but modern designs. The diversity of these prints inspire long sessions of gazing, they are so intriguing. 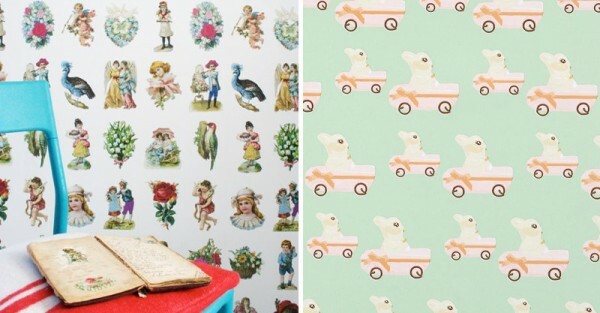 If you are looking for something with pure vintage charm then the Vintage Scraps design is a delight, while the Sweet Bunny wallpaper makes for a perfect feature wall for a modern girl’s room. These aren’t docile bunnies sitting in a field somewhere, these hip hoppers are on the go in their gorgeous pink cars. Love it! Oh, and did I mention that Studio Ditte also have bedroom accessories that match their wallpapers? 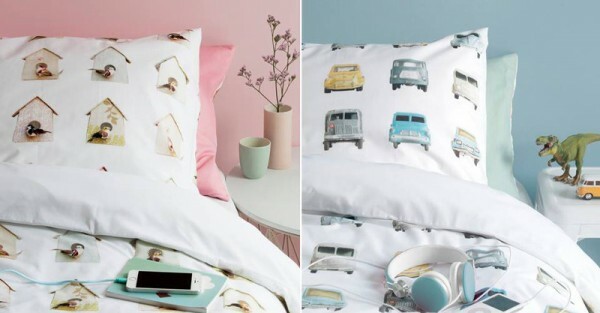 Cushions, bedding, wall stickers, tray tables and even pyjama sets are available. The amateur decorator in me just let out a squeal of delight. 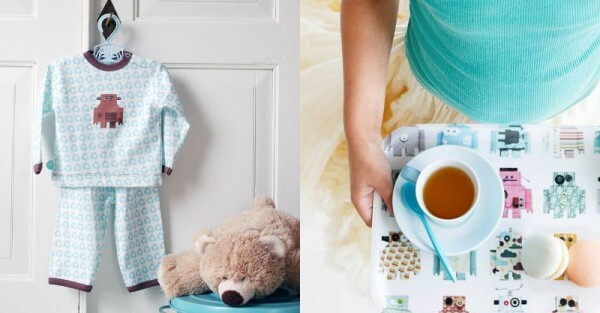 This is just a taste of the great range of designs available from Studio Ditte. Prices start at €34,95 plus shipping and they happily deliver worldwide.